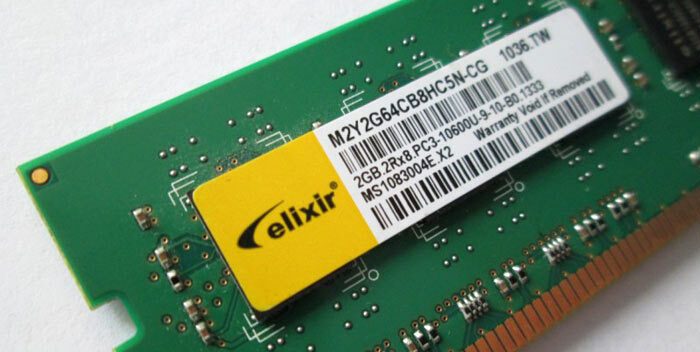 The upward price momentum in the DRAM market looks set to continue until the summer reckons the boss of key DRAM chipmaker Nanya Technology, makers of Elixir RAM. Speaking at a meeting attended by DigiTimes reporters, Pei-Ing Lee, Nanya Technology president, said the DRAM price rally will continue though Q2, with prices likely to stabilise in Q3 2017. The reasons cited by Lee for the continued uplift in DRAM prices are pinned on the age old economics principles of demand and supply. Running up until Q3, Lee reckons that supply is going to "continue to fall slightly short of demand," writes DigiTimes. What happens at the beginning of H2 is highly dependent upon the capital expenditure plans of major DRAM manufacturers put into action in the preceding period. Talking about Nanya's plans, company president Lee said that the firm will move a newer 20nm process to risk production at the end of the first quarter - chipmaking on this process will be scaled up as 2017 progresses. As its new tech comes online Nanya will reduce its 30nm process output. It expects that by Q1 2018 its 20nm and 30nm production processes will both be going through 30,000 12-inch wafers. Just ahead of the publication of the above DRAM market outlook, Nanya published its Q4 2016 results. It announced a net profits surge, making NT$20.06 billion (US$639.5 million) in the three months ending 31st Dec 2016. Obviously it looks like a good time to be a DRAM producer. Consumers must hope the attractive profits in DRAM right now stokes up competition and production, to bring prices tumbling back down. 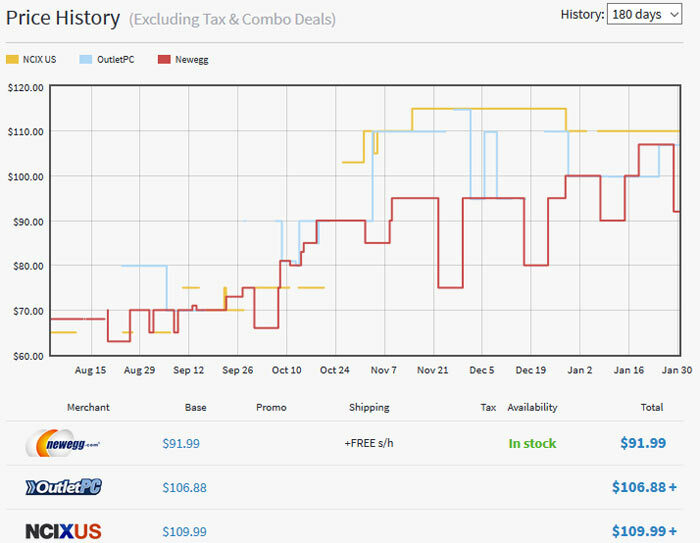 G.Skill Ripjaws V Series 16GB (2 x 8GB) DDR4-2400 Memory - price history via PCPartPicker. More reasons to postpone buying a new computer. It's like the tech manufacturers don't want us buying shiny new things! I have a couple of spare DDR4 kits. Must get them on ebay! Oh they do. They just want us to pay top dollar for it. So buy now? Or is he just trying to second guess us. Oh wait, there's been zero need to upgrade the CPU and surrounding infrastructure for coming on a decade now. Meh, i shop with the desire/affordability of my current pocket, versus the real factor which is what enjoyment/fulfilment you are being rewarded with at time, which is compared with what you get out of it at your hour of need. Prices are always going to go up and down who cares. oh joy…. more increases for no real reason, they've been going up since this time last year, the ram I bought a year ago is now over twice the price I paid for it.